In Rochester, our Main Office is located on the third floor of the historic Broadstreet Building at the corner of 1st Avenue and Civic Center Drive. 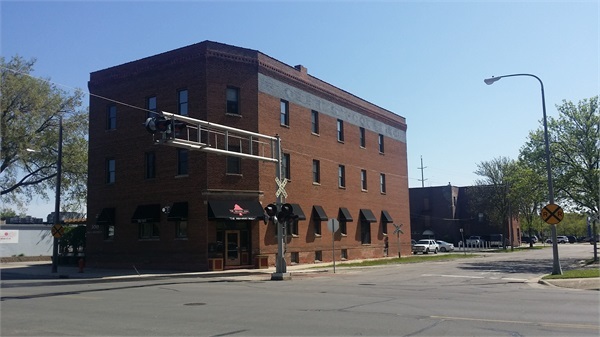 The brick building was built as a grocery warehouse and sits feet away from an active train track where the groceries were offloaded from trains that would come through. If you are lucky enough to be visiting when a train comes through you will be able to see the top of the cars as it rolls by the building through any one of our office windows. In the 80's two floors were put into the formerly wide open warehouse, and professional office space was developed. The first floor and basement are now two outstanding restaurants open for dinner only--300 First (formerly called the Broadstreet Cafe) and The Redwood Room. 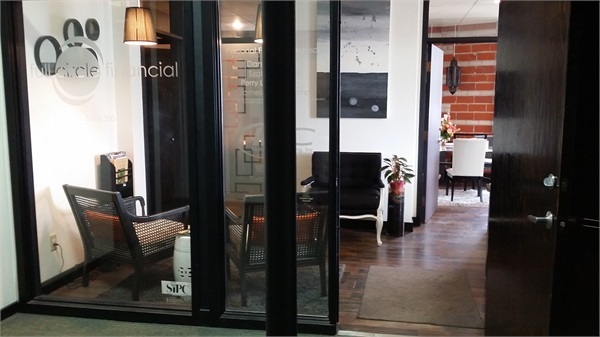 In January of 2011, Full Circle Financial renovated the office space and moved in. We designed the space for maximum interest and comfort for clients, updating it with wood floors, artistic detail, and the comforts of home. 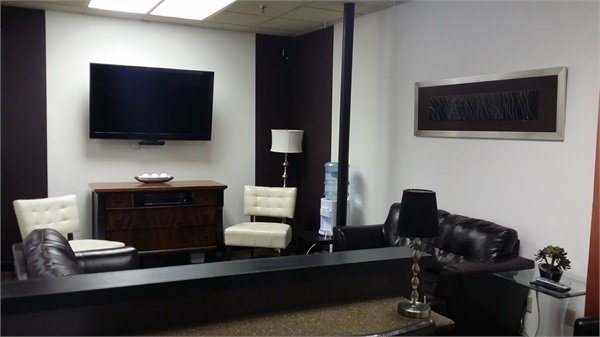 We enjoy gathering in our client lounge area complete with wireless laptop bar to collaborate or to enjoy a conversation with clients and other visitors. The technology-rich environment serves to enhance the depth of relationships with those we serve. Free parking is generally available in our parking lot during business hours, though the restaurant gets busy by about 5pm, and parking for evening appointments can become limited. Luckily there is ample street parking (free after 5pm) on 1st Avenue just across the street. The building is wheelchair accessible via a ramp to the main entrance from our parking lot. Take the elevator to the 3rd floor. We look forward to your visit. Click here for a map of our Rochester location.